It's 2013, and roughly a month since most of the recent medical graduates started their internship. Yet it was not always a sure thing, and there were many Australian medical graduates who were left facing uncertainty at the end of their degree. This year the campaign to find workable solutions has kicked off much earlier with the first ever National Medical Intern Summit being held last Friday. This was a summit that gathered health ministers, medical deans, economists, doctors, and various associations and societies, to address the shortage of internships for our Australian medical graduates. Fortunately, while I couldn't take part in the summit, various attendees were busy tweeting, and Australian Doctor managed to brilliantly capture the day in this Storify Summary. Finally a small pitch. 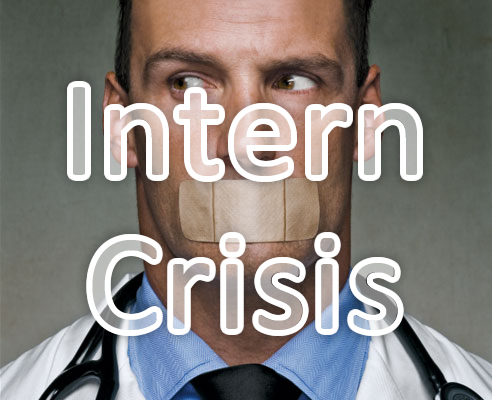 Myself and Dave Townsend aka @FutureGP will be presenting at talk at SMACC concerning last years Social Media Interncrisis Campaign. If you are in Sydney, it would be great if you could come along to an awesome event. Otherwise, we will be putting the presentation online after the event, for all to see.